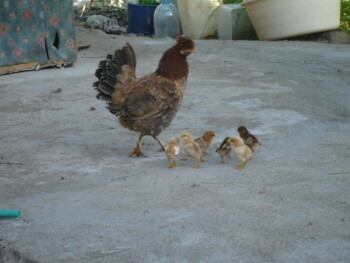 Samoan Hen & Chicks. Not a worry in the world! In this Sermon from Samoa, I explain that despite the rhetoric, Monetary Reform is NO ANSWER to the ills of the world. I use a recent communication from a passionate Philippino author and Social Credit activist as the basis for this post. Enjoy. The Monetary Reformers are on a roll. More and more people are starting to realise that something is not quite right with the global monetary system. Many Christians too are waking up to the fact that the system is not really working. Poverty; the rich getting richer; obvious debt enslavement; government and national bankruptcies and more paint a sorry picture. Yet catching this bandwagon of Monetary Reform is NOT the answer prescribed by the Master. Central to the Monetary Reformers’ approach is top-down thinking. This is where systems are designed to counter human failings. This is a logical fallacy of the first order for addressing a human failing (pride, manifested through greed and self-interest in the elite) with a system, is like trying to fight an illness with a colour; or to deal with a disobedient child by introducing a Capital Gains Tax. It’s why Jesus pretty much ignored the political and financial systems of the day. Seemingly almost uncaring about the poor or the political/commercial world around Him, He did though narrow right on down to the individual in front of Him – day after day – and it’s why the people loved Him. It’s also why the people loved Mother Teresa – she did a lot the same – working at the coalface so-to-speak. The Good Book says that the people get the leadership they deserve. This is a vitally important observation as well-meaning people seek to change leadership in order to impose a new, better system which (in the case of monetary reformers) will supposedly rid the world of the evil of usury, greed, and a million other evils. Jesus knew this all too well and preferred to live and minister to the real people at the bottom of His society who knew and understood who He was instinctively. To those who wanted to change the world and busied themselves He had short words, like, “Shut Up!”, “Go Away!” and worse! The global economic system is working exactly as planned. It is a system based upon usury whereby the elite consolidate their wealth and power to enslave the majority through monopolised money supplies the world over, privately owned [or at least controlled] Central Banks, settling with the privately owned BIS, legitimised through the complicit politicians of the day and assisted by big-business and the forces of globalisation. The phrase New World Order encapsulates it well. The only way the system will be [and I posit, CAN ever be] replaced is with its implosion. Monetary reformers are simply a minor itch on the surface of a huge Beast – and are easily squashed or swished away like a fly on an elephant’s behind. Does this mean that Monetary Reformers should give up and go away? Not at all, on the contrary . . . there is huge opportunity to do good; to help others and to achieve lasting change BUT it must be in the context that there is an entrenched system, a legalised monopoly with phenomenally successful marketing and defence systems – literally THE most effective business in the history of mankind! The prescription then, for those wanting to affect meaningful change is to work within the current system, identifying opportunities to glean the pickings and build meaningful relationships and systems in and around what cannot be changed. A Christian’s first challenge after accepting that there is a God, that His name is Jesus and that He’s alive and well and now in charge of our life, is just that . . . to let Him take over. Most of us fail that first test right at the outset. WE want what WE think is right, good and how WE think the world should be. A basic error. Jesus’ secret was that He did what His Father wanted. Period. Activists, people who think and who care, are prime targets for doing our own thing. I know this well for I am in the same category. The more you care; the more that you speak, act and stand up for what you KNOW is right. But in trying to change the world, we often miss the little things; the people and opportunities that Jesus and perhaps Mother Theresa didn’t. For those Christians caught up in social change – stop! Go back to the calling; to the last time that you heard His voice specifically calling you or telling you what He wanted. Park your own agendas and soapbox for a minute . . . now just DO what He asked, nothing more! The first thing I always do when talking to theorists or activists in the Monetary Reform movement, is ask them whether they have a mortgage, credit card or any debt themselves. If they do then I know that they have yet to walk the talk. Making steps to get out of debt is a proof of belief and THAT carries weight – it is integrity at work. Even if they are not in debt (most are or won’t answer the question) they will still usually seek cash as their preferred form of income. This can be valid to a point but when alternative forms of income are not an active option, I know that these people don’t yet truly understand the ‘business’ that they are in. This lack of integrity isn’t the kind of lack of integrity that puts them into the category of a con-artist, it’s more a ‘well-meaning-but-young-at-the-game’ category. I have a friend in the Alternative Currency movement who walks the talk and like me, doesn’t have a bank account; will trade with anything for anything that you have and sets his prices by donation and agreement. That’s integrity and I listen to him when he talks. Others do the same with this guy too and this is similar to the audience that Jesus gained because He walked the talk. The people knew it! The third step in this game is to do something practical in our own lives, today, here and now. God blesses the steps we take and opens the doors from the little steps of faith we take. How many times do you see and hear of the little people doing great things when to them it was just a simple thing to do open the door to opportunity when it knocked? Using what we have, rather then borrowing or trying to get things from others is a biblical principle. Moses and Aaron used what they had against the Pharaoh’s magicians and their evil snakes – simply a shepherd’s rod. They didn’t go out and mortgage their country to buy the best army in the region. They simply heard, obeyed and used what they had. This point is vital because when we understand this, we immediately understand that we already HAVE everything we need! This is a profound change from the deception that we need money or to borrow in order to [whatever]. Little steps of faith and obedience build over time. It’s far better to have a small wall built with a few bricks at a time, than a lifetime of dreaming and planning and talking about the big one. We learn so much and build so many friends and relationships by working with what is in front of us day by day. There are constant opportunities to do things the godly way, with people around us – all of us. We just need eyes to see and ears to hear. Saving one person one dollar a day for a year reduces the individual’s and the nation’s debt by $365.00pa. Sure I know that all nations are bankrupt and will be bankrupted anyway but that’s now two people who will be less affected – you and them! This is REAL, meaningful and can be lasting change. Last of all, NOT first of all, is the theory. Getting deceived by the power of the enemy is a trap. My bible tells me that Jesus nailed it on the cross. When He rose from the grave and knocked on the door of my heart, He told me that He’d stuck it to the evil one once and for all. He sealed those words with the Holy Spirit and He has the power to deal with anything, anywhere, anytime – literally. You can talk to me about the Illuminati and the global Central Banking cartel and the evils of this or that as much as you want but it still doesn’t stop me helping the people I know, in person or online in the ways that I can. At the moment I’ve got pineapples coming out of my ears. After weeding the things for what seemed like an eternity they’re all sprouting fruit like crazy now. Great – my mates and friends and so on can help themselves. No Central Bank or crooked politician can intercept my business when I throw a few into a bag and drop them off to my High Chief friend in town. I’m totally in control of that transaction and it will remain that way until the day I dare to start to sell them for money. This is the power of deception, you see. If I submit to the belief that money is more important than giving what I have away to others then my world will be controlled by the current monetary system, and ultimately the evil behind it. On the other hand I am NOT deceived so even while living within that system that my Monetary Reformer friends so desperately want to change, I literally bypass it and depower it totally. But you say, that’s all very well for you and your produce but what about [enter your perceived problem here]? If you retain that negative attitude then you are right . . . the world is a dead and dying place – there is no hope. The big picture for me is that for every problem; every challenge; every command to live a certain way, God created a solution; an opportunity and the power and wisdom for us to actually live the way that He intended it. I have to guests arriving tomorrow night. My backpackers has formally closed, but they want a place to stay and I’m happy to help them enjoy Samoa – the shopping list is ready for them, a couple of four foot lightbulbs, flour, yeast, sugar, onions, eggs and carrots will help us live nicely for a week or so thank you boys! Another guest coming in December asked me if there was anything that she could bring over – “Yup! A few little things from Gilmours would be just great thanks, Honey!” She won’t be paying cash to me when she stays here, that’s for sure. A Monetary Reformer asked me for help – literally. I sent it to him in person, a lovingly forged set of words designed to correct him, teach him and help him. I did that then have posted this here to share with the world. If he listens he will be richer, and the system he has fought to desperately for decades will be one person weaker as a result of his increased wisdom. You don’t need to change the system to escape the system. I haven’t given you specifics here, but the principles above are vital for Monetary Reformers to understand, particularly in this post, written for Christians seeking a better way.